In June 2011, noted beer writer John Hall wrote this piece that included my home brewery operation. I met John when we were both participating on Charlie Gow’s tasting panel for Beer Connoisseur magazine. John had the idea for an article on homebrewers with large setups, and I was thrilled that he asked me to be featured. I brewed a nice Altbier that day. 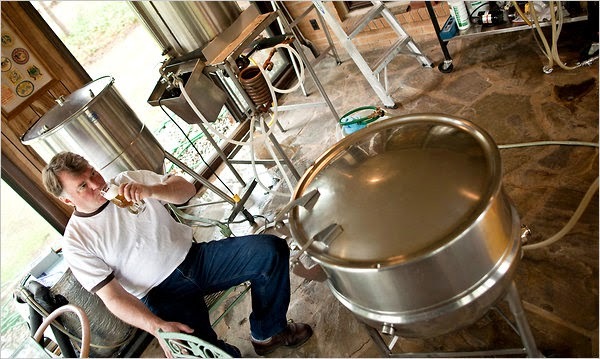 Contrary to the pic above, brewing does not usually entail sitting around drinking beer. There is a lot of work and cleaning involved.